Two of the hottest areas in the IT sector today are Identity-as-a-Service and the move to the cloud with Microsoft Office 365. Both of these are a consequence of massive innovations that have occurred over the past decade. 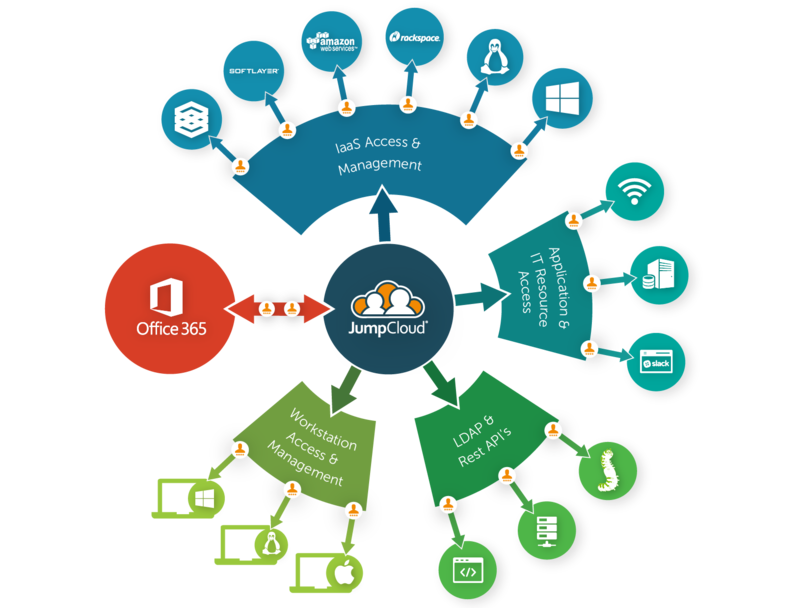 The integration of Identity-as-a-Service function Microsoft Office 365 integration is a critical component of any IT organization. Identity-as-a-Service is next generation cloud identity management. This market has emerged because of the fundamental changes in how networks are being run. Historically, IT infrastructure was on-prem, and it was almost exclusively based on Microsoft Windows. Therefore, it made sense that the most significant identity management component in the infrastructure was Microsoft Active Directory. AD was created to connect user identities to IT resources such as Microsoft Windows machines, applications, and access to the network domain. This approach worked well until the market started to shift to the cloud. With the advent of Google Apps, AWS, web applications, and the addition of Macs and Linux devices to networks, Active Directory lost its luster. AD couldn’t manage much of an organization’s infrastructure. That created the Identity-as-a-Service category and primarily the solution Directory-as-a-Service®. While the move to the cloud was going on, Microsoft was caught largely unaware. As a result, G Suite (formerly known as Google Apps) was able to pick up a large market share. G Suite became an important story in IT organizations. It enabled IT to off-load their Microsoft Exchange email server and also move to a suite of productivity applications. While the suite wasn’t as strong as the on-prem Microsoft Office solution, it was often just good enough and mainly cost effective. Microsoft lost a great deal of market shares to Google with startups and small-to-medium sized enterprise. Their response was vintage Microsoft. They came out with a cloud version of Office. It’s called Office 365, or O365 for short. It is an integrated suite of the email server and productivity applications. O365 is a dead-on competitor to G Suite. Interestingly, it is becoming one of the fastest-growing IT solutions ever. Microsoft is leveraging their install base to their advantage. The challenge now for IT admins is how to marry their move to the cloud with Office 365 and controlling user access. 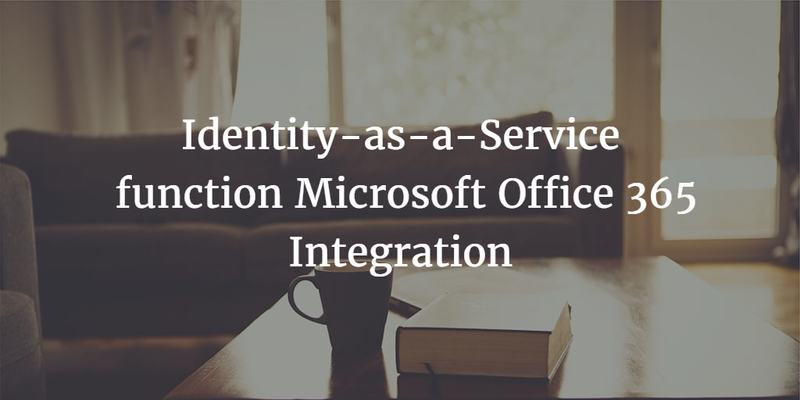 The Identity-as-a-Service function Microsoft Office 365 integration is critical to building a central user management platform. With a unified cloud directory, an IT organization can provision, deprovision, and sync users to Office 365. The benefit for an organization’s users is that their Office 365 credentials can be utilized throughout the organization to access their systems, applications, and the network. For IT, the benefit is central control and increased security. In addition, through the Identity-as-a-Service’s True Single Sign-On™ capabilities, end users will have the ability to log into Office 365 through SSO without having to enter credentials. This functionality is enabled by the use of a SAML connector. If you would like to learn how Identity-as-a-Service is integrating with Microsoft Office 365, drop us a note. Also, please sign up for a free account to see how the Directory-as-a-Service and O365 integration works live. Your first 10 users are free forever.